The armchair critics simply don’t get the Cadillac Luxperiments campaign, or what Cadillac is trying to achieve with it. So stop your erroneous babble for a few short minutes and listen up. I am a Cadillac fan and read GM Authority religiously. I also happen to be a professional marketer. I don’t work for Cadillac or any ad agency employed by GM; but I do work at a major worldwide marketing firm (let’s leave it at that). All of the users who have something negative (or downright nasty) to say about the Luxperiments videos are misinformed and don’t do marketing for a living… and their criticism and general disapproval of the spots is downright wrong. First, the videos are not for enthusiasts such as the fine folks who graze the GM Authority pastures. They are for normal buyers who don’t know about rear-wheel-drive, turbocharged vs. naturally aspirated engines, Magnetic Ride Control, Head-Up displays, run-flat tires, a great exhaust note, or world-class vehicle platforms. These buyers represent the substantial majority of car buyers all over the world. Luxperiments are for them. The Luxperiments campaign addresses both of these elements. It will solve the first problem by getting car buyers (again, not enthusiasts, but normal people who buy and drive cars) to watch past the 5-second mark because the videos are different. They are captivating to a normal person. By contrast, if enthusiasts bought 100% of the cars in the world, every car ad would have these elements: a twisty road or a track, a mean burnout and an in-your-face exhaust note. That’s what the initial ATS vs. The World campaign was (more or less) all about — and it appealed to the enthusiasts, not the masses who buy the 3 Series in 9,000-units-a-month increments. Having solved problem #1, Luxperiments solves problem #2 by allowing people to remember the fun and unique ad, and the product featured therein. To reiterate, I am in no way involved with the spots or the companies that created them. But I do know a thing or two about effective marketing; these ads are along the lines of what I would personally do to solve the two above-stated dilemmas and launch a new product such as the Cadillac ATS. So do this: find someone who is not into cars (might be your parents, a friend, your girlfriend or boyfriend, etc) and make sure they aren’t biased against the “destruction” of pianos, fine dining room sets, or antique clocks. For our little experiment, make sure they thinks of cars as a mode of transportation, and of driving as a chore — what most people consider motoring to be. Then show them a Luxperiments video. Ask them for their feedback. What you will hear will surprise you. My suggestion (take it or leave it) for the armchair pundits is to understand before criticizing, to learn the science and the art of marketing before speaking, and to think before typing. Because anyone can have a case of verbal diarrhea, but a select few can effectively communicate to the masses. – A professional marketer and future ATS-V owner, A.R.O. Thanks for that eye-opening analysis, A.R.O. Having some experience in the marketing field myself, I had a fleeting suspicion that there was more to Luxperiments than initially met the eye — and it appears that there is. Let’s see how the campaign performs going forward. Oh we do understand what they are saying and some of us also have marketing in our background too so you can skip thinking we just fell off that old Turnip truck fella. These spots are just not our cup of tea and we have seen them do better. In this case the new Impala spot sports elegance and imagy that leaves you with a good feeling and a taste of class. To be honest it is the spot they should have used for the new CTS more then the Impala. Things like this are subjective. In our case as with the majority we were just not impressed. To be honest I dislike most automotive advertising as much of it is created by people who have no clue who the real buyers are, We laugh at our own marketing staff at work as they miss the mark often and rely on too many clinics and false positives in testing. Even Bob Lutz remarks about this in his several books. Cadillac has some gold in the ATS and CTS and they deserve better more fitting adds to sell an image. These kind of cars are often sold to people with no clue about the car other than how it makes them look or how affluent it makes them look. My mother in law is the Classic Cadillac owner of this type. She could care less about all these things shown here but if you get the message across that it makes here look more important or affluent she buys it hook line and sinker. She is not alone in this class of car on this. Even BMW is generally sold to people who could care less about anything other than they can say they own a Bemmer. Now with Chevy image helps but hard numbers for safety, MPG and the advanced technologies at a reasonable price is where this sells. Truck advertising is the worst. If I see any more trucks driving up ramps that are on fire or pulling a train or a boat it will be all too soon. The bottom line is Cadillac is coming off an image issue. For years it was the car for old people and it did noting to make you look good. Today that image has changed with the new product and they need to sell the fact that it is cool to own a car like this. People in general and younger people even more so are very superficial and only think of themselves and how the car enhances their image. The message need to be sent this car will get you a better table at the club or it will get you laid. By the way if people are not getting past the first 5 second, well that is your first problem. If you lose them by this point you will never get them back. The remote is so easy to hit in 5 seconds to see what is on the other channel. Take a cue from some one very interesting. Stay Thirsty my Friends. He leaves a cool image for just another beer. Who knew he has no accent and lived in New England but he sells image with humor. Anyone know you can Ship Your Pant in you Cadillac with On Star. LOL! Most people ignore adverts or pay slight attention. It is rare for an ad to break into pop culture. I get what the writer is say, and think we all have a habit of taking our own views too seriously. Most Americans don’t know about the Alpha platform or that the XTS rides on an Epsilon 2. These videos are smart as GM builds the brand. I’m sorry but it appears you are the one who is confused about why someone would buy a 3-series BMW in the first place. You assume most 3-series buyers are stupid and do not understand “rear-wheel-drive, turbocharged vs. naturally aspirated engines, Magnetic Ride Control, Head-Up displays, run-flat tires, a great exhaust note, or world-class vehicle platforms”. The truth is that those 3-series buyers make a conscious choice that BMW beats competitors in areas such as features, overall fit/craftsmanship and fun in ways that includes those features. You don’t save up $50k by making thoughtless decisions. Now before you say that I represent an informed buyer, and yes I will buy a 3-series as my next car, more importantly my fiancé wants me to buy a BMW because she, even if she doesn’t know the exact technicals, believes my view as well as – and here’s what you are missing – BMW gives her the impression of competence and success and that’s how she wants the world to view her as well. This commercial does nothing to change her view. So yes you can say that people only pay attention for 5 seconds to commercials and yes no one knows the ATS, but getting their attention and telling them about the ATS is futile if the MESSAGE is wrong. Another way of looking at this, why despite eye catching marketing by lots of competitors over the years would people continue to buy 3-series year in year out? Do you think beating up clocks, wedding cakes, and dining room sets is going to put a dent in that? He may be a “professional marketer” but is he a car guy, a passionate car guy? Unless one is you just don’t understand. Although humorous in a bizarre kind of way these ads just don’t cut it. Cadillac deserves better. I guess now we know what car to buy if we are going to drag a piano over bumps? There was once a time that marketing people got their jobs because they knew the product inside out. I just read a story on a Corvette Advertising guy who got his job on the Vette program because he loved and drove a Corvette. JIm Wangers not only marketed Pontiac in the 60’s but also raced them in the NHRA and on Woodward Ave.
What are these Cadillac marketing types do play Piano’s and Bake? Good one, Scott Let them eat cake? This X3 ad is a lot more “fun”, still not for car people. Notice how both these ads show PRODUCT. I laugh, I mean laugh, every time a “Marketer” says you don’t need to show product. Remember those Infinity trees & rocks ads? Sorry, the ATS ads need to look and feel A LOT more like these. You state “Because anyone can have a case of verbal diarrhea, but a select few can effectively communicate to the masses.” and you are obviously one of the former, certainly not one that can effectively communicate to the masses. Well, I am strongly ‘biased against the “destruction” of pianos’ etc. I value a good piano far higher than a car. A good piano lives longer than a car, give more pleasure and probably also costs more. Might take a look at the new CTS spot on Youtube. 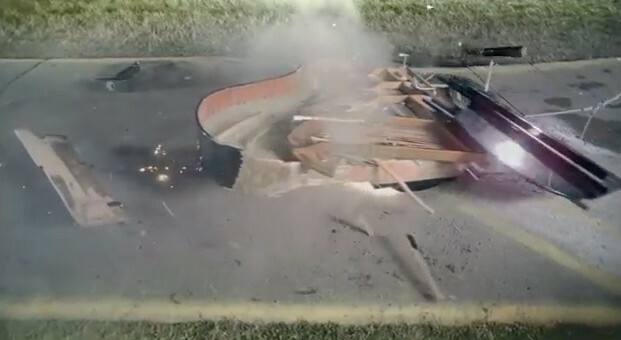 Not a piano destroyed or word is spoken and it tells me 98% more about the car than smashing a Piano did. Also it did it in an unimaginative but classy way. All in less than 2 mins. so the average person may watch this add more than 5 sec, will it make him buy the car, i doubt it, still a waste. Gm has the worst ads. Chevy and Buick spots look identical–wrong message, and Caddy spots are blah. Ford currently has a great marketing team which is why they lead Chevy. I knew were that it wasn’t typed by anyone with any kind of academic marketing background. He’s assuming that the attention span of “enthusiasts” is less than that of “normal people”; that the normal people “get it” and that enthusiasts simply couldn’t understand it because they are “enthusiasts”. I’ll put it another way. If Lexus or MB tried this and they got negative responses, would ARO chalk it up to loud-mouth enthusiasts that don’t know anything because they aren’t normal people? Also, I deride ARO’s idea that enthusiasts are just brain dead, blue collar, “git-r-dun”, proles who could not and would not have any appreciative emotion for what the ATS has achieved and only measure the ATS in HP and 0-60 times….and they holds them as being inapplicable of understanding the advert. But back to meat of all this; ARO’s insistance that there is only 2 kinds of people who buy cars: enthusiasts and normal people. I maintain that there is none of this polar opposite of people can either be classified as enthusiasts or as normal people when it comes to cars. There are just consumers, that’s it. Trying to categorize buyers in distinct groups them makes anyone think that all buyers can be put into different boxes for easy catering to with more targeted marketing. In such attempts, the targeted advertising alienates the other consumers and they splinter from the mass of consumers, making them more ambivalent to the product. If most people aren’t watching past the first 5 seconds, then the ad isn’t doing it’s job of letting people know what the ATS is…and since ARO’s fractured compartmentalization of the consumer mass prevents him from realizing that his “enthusiasts” are minority consumers, then his self-defeating maxim means that the “normal people” aren’t watching the ads either. There is only just consumers. The real challenge is to rope as many as you can together around one product, not to pitch an ad at an imagined audience of “normal people” and pretend that the ad can excludes others because they won’t get it. Even though he alludes to his expertise in the area of marketing he certainly does not know how get communicate effectively or even intelligently. He alludes to being a professional marketer but not for GM. For that we can all be thankful! BMW is a great car; let’s see if ATS is as good…let’s hope!!!!! I think that the opposite is true: that those “luxperiment” ads appeal to the car enthousiast who doesn’t care about the piano inherited via several generations of family, but who wants to have a fast and furious car. The thing that Cadillac nailed with these ad spots is this: They have everyone talking about these commercials, thus creating buyer awareness of their new ATS…period! Mission accomplished! !